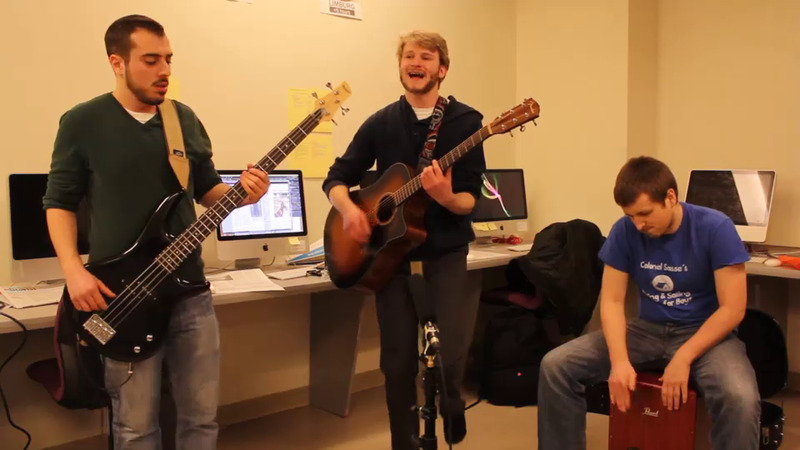 For the latest Beacon Beats, Michael Mirabella and his bandmates Harry Brownstein and Jack Naylor enlivened the Beacon office with buoyant performances of their original tunes. Performers: Michael Mirabella, junior writing, literature, and publishing major; Harry Brownstein, junior visual and media arts major; Jack Naylor, sophomore writing, literature, and publishing. Set list: "Miles Away," "Chapter's End," "For a Walk," "Got to Sing."